Two quarries in Pembrokeshire have been identified as the source of some of the rocks at Stonehenge. Geologists have known the bluestones, which form Stonehenge's inner ring, came from the Preseli Hills since the 1920s. But following excavations, a team of archaeologists and geologists confirmed the stones came from outcrops at Carn Goedog and Craig Rhos-y-felin. The research has been published in archaeological journal Antiquity. The team, led by University College London (UCL), included scientists from University of Manchester, Bournemouth University, University of Southampton, National Museum Wales and Dyfed Archaeological Trust. 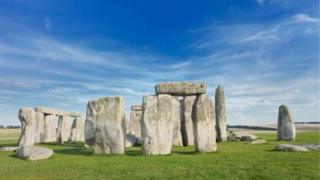 Scientists involved in the excavations said the stones may have been first used in a monument near the quarries and then dismantled and taken to Wiltshire. Director of the project, Prof Parker Pearson, said: "Stonehenge was a Welsh monument from its very beginning. "If we can find the original monument in Wales from which it was built, we will finally be able to solve the mystery of why Stonehenge was built and why some of its stones were brought so far." Stonehenge rocks definitely came from Wales, but how?